Home World Europe News Francesco Schettino curiculum vitae. A short biography of Costa Concordia captain. Francesco Schettino, the captain of doomed Costa Concordia cruise ship and the man who is now at the centre of one of Italy’s worse maritime disasters, is currently under arrest. Francesco Schettino faces possible charges of manslaughter, causing a shipwreck and abandoning ship, charges he denies. Francesco Schettino is 52-year-old and his life has been dominated by the sea. Born in the coastal town of Castellammare di Stabia, near the southern city of Naples, Francesco Schettino attended a nautical institute in the nearby town of Piano di Sorrento. Few personal details are known about Francesco Schettino and his family, which is based in the Naples town of Meta. Members of his family have said they are no longer giving interviews to the press. 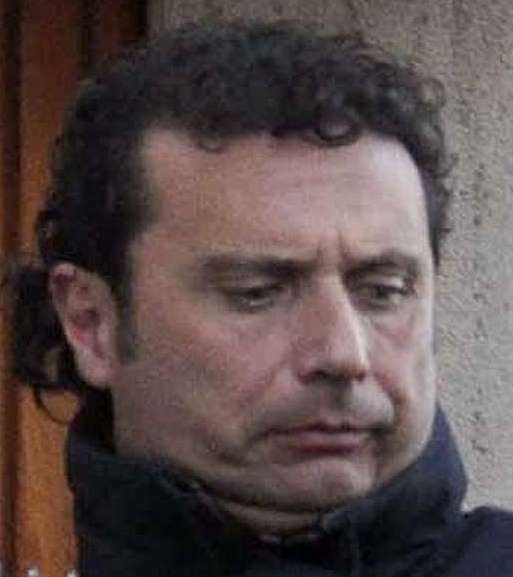 Francesco Schettino lives in Meta with his wife and their 15-year-old daughter. But speculation is swirling about how Costa Concordia, the vast ship he captained, almost a floating city with its 4,300 passengers and crew members, ended its journey aground and on its side, metres from the Tuscan island of Giglio. Francesco Schettino joined Costa Cruises in 2002, initially as an official in charge of security. He was promoted to the role of captain in 2006, having been second-in-command. As reports of an unplanned change of course and a terrifying and chaotic evacuation process have multiplied, the firm has been quick to distance itself from the captain who, it said, had made “serious errors of judgement”. Costa Crociere CEO Luigi Foschi said Francesco Schettino changed a pre-programmed route to make a manoeuvre that was “unauthorised, unapproved and unknown to Costa”. “The captain has the authority to take the decisions on board. In this case, the captain decided to change the route and he went into waters that he did not know in advance,” Luigi Foschi said. Italian newspapers have speculated that the change of course may have been a daring deviation, a kind of maritime tribute to one of the crew members who was from the small island. The reason for the dramatic shift in route will only be revealed by the criminal investigation but, in a television interview given hours after the ship capsized, Francesco Schettino’s shock and disbelief is clear. “I firmly believe that the rock was not shown,” he tells the reporter, seemingly incredulous at what had happened. “We didn’t hit it with the bow of the boat, but from the side, as if this rock had some kind of spike beneath the water. I don’t know if it was picked up or not but on the nautical chart it said that we should have had deep water beneath us. […] We were about 300 metres from the rocks, more or less, we shouldn’t have hit anything,” Francesco Schettino said. In an earlier interview, francesco Schettino was full of confidence in his abilities and the technology that underpins modern cruise ship travel. But some of his words may come back to haunt him. “I wouldn’t want to be the captain of the Titanic, forced to navigate between icebergs,” Francesco Schettino told a reporter from Czech newspaper Dnes in 2010. “But I think that with the right preparation any situation can be overcome and any problem prevented,” he added. As the accusations against Francesco Schettino grow, there have been those who have come to his defense, setting up a Facebook page with 1,500 fans. Many of them are sailors themselves who have commented on how Francesco Schettino’s decision to steer the ship towards port after it collided with the rock had probably saved dozens of lives. According to an interview in Naples-based Il Mattino newspaper quoting his sister, the first person Francesco Schettino called after the incident was his 80-year-old mother, Rosa. “He called her at five in the morning on Saturday to tell her there had been a disaster, that he had tried to save as many passengers as possible and not to worry, because it was all over,” his sister said.